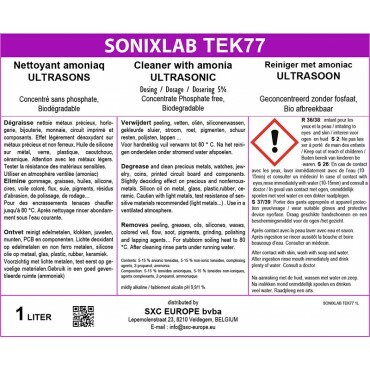 Sonixlab TEK77 intensive ammonia cleaner, cleans coins and jewellery. Sonixlab TEK77 has been especially designed for cleaning coins, clocks, jewellery and precision parts with ultrasonic cleaning units. Sonixlab TEK77 removes resinous residues, soot, fat, oil, wax, pigments, coloured fog, silicon oil, flux, oxides of non-ferrous metals from metal, glass, brass, ceramics, plastics, rubber etc. 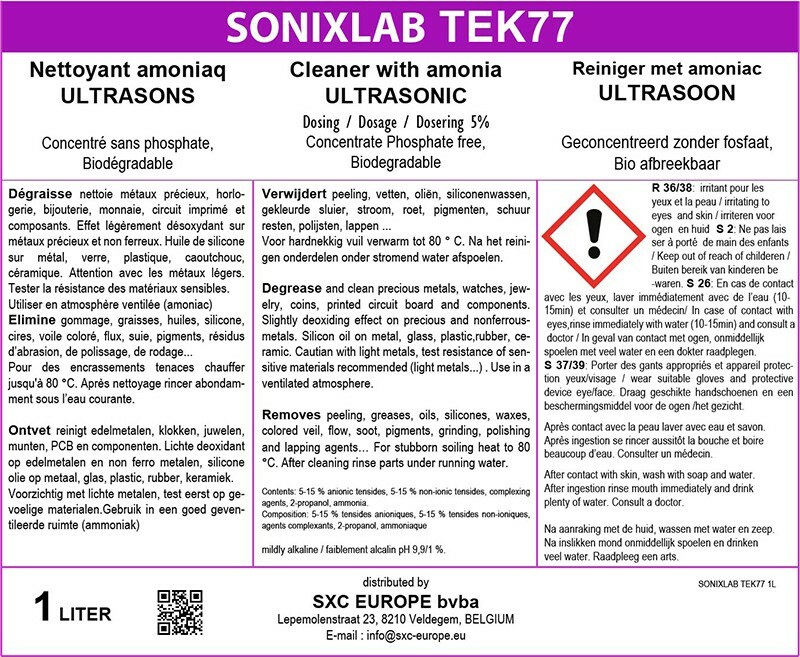 Sonixlab TEK77 is NOT suitable for light metals, tin and zinc. We recommend testing the resistance of other sensitive materials before cleaning. Especially designed to clean coins, jewellery, precision parts, watches and clocks. Main active agents: tensides, contains ammonia, mildly alkaline.